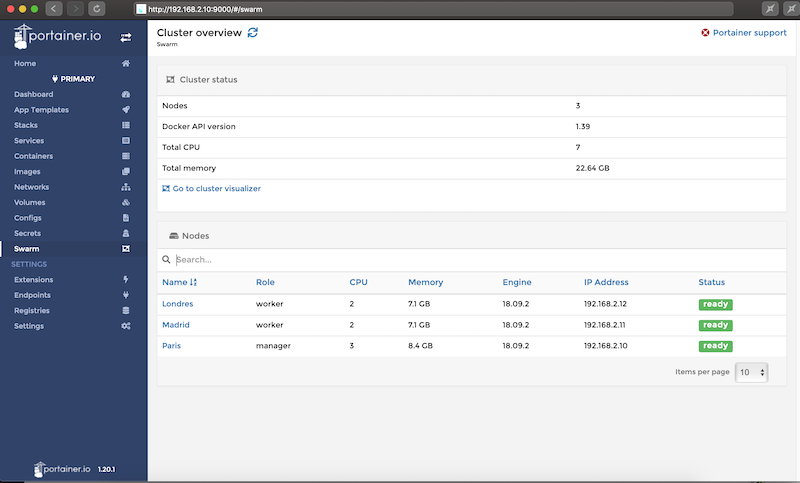 On a single machine (using multiple VM’s and through docker-machine) I am able to setup a swarm cluster. If you are using docker-machine and virtualbox to host the docker images on the different physical machines, you might have to look at all the NATting being ok, because that might mess up things badly. When you change the adapter settings on the VM’s to bridge mode (and reboot the image), that should make things easier. Then create the swarm. I did not try, but running docker for mac on both machines, that shoud be ok in my opnion if no firewalling is active. Thanks so much @xxradar ! setting network adapter to bridged mode did the trick. However it seems docker machine is not able to ssh to the VM in bridged mode (is this normal? ).